Enjoy good smells and bling? 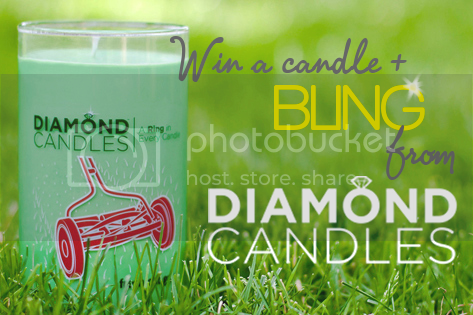 Enter to win a Diamond Candle! 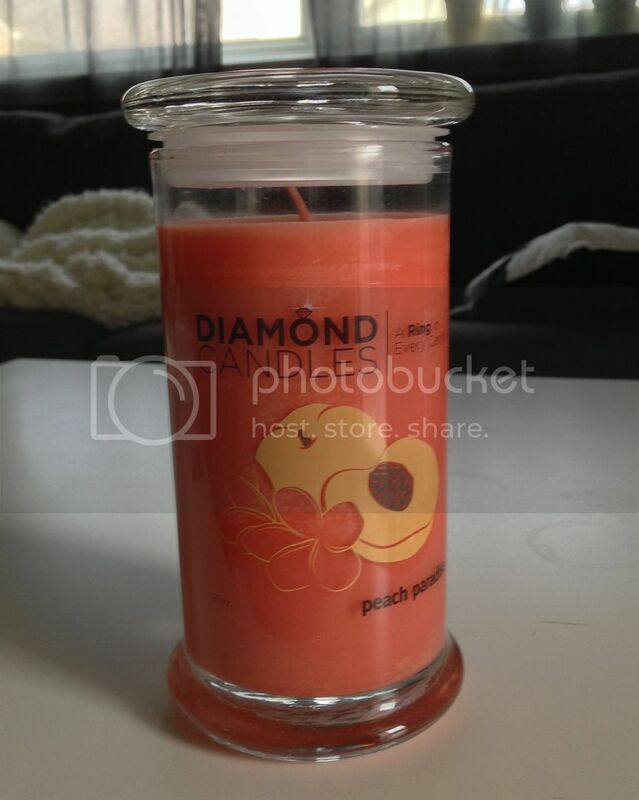 If you didn't watch the video—shame on you—Diamond Candles are all-natural soy candles with a ring embedded into the wax. Why a ring? Because it's fun! I am totally on board with this idea; bling and good smells are two of my favorite things. 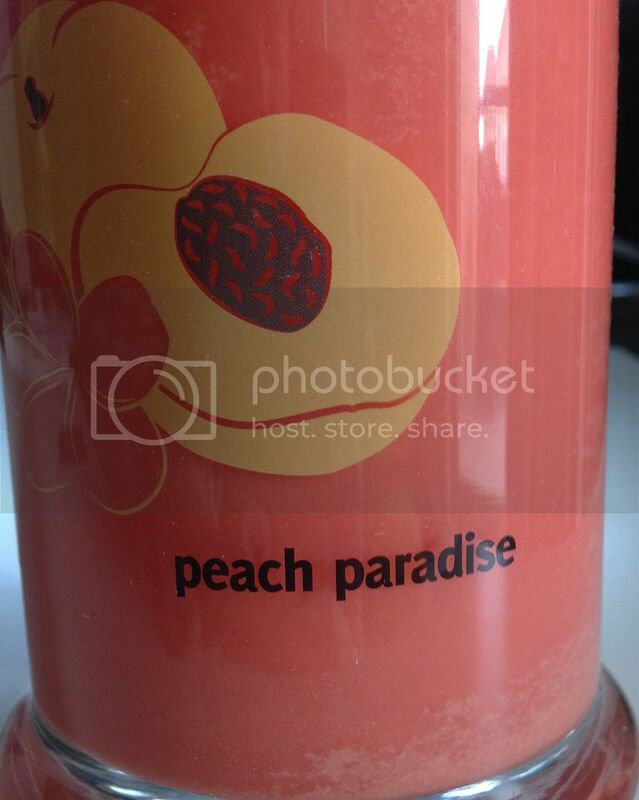 I chose the Peachy Paradise candle to review, and man, does it ever smell good. It's sweet and fruity, but not at all overpowering—and with a Mister who occasionally has severe asthma reactions to certain smells, non-overpowering smells are quite important to the Murtis. 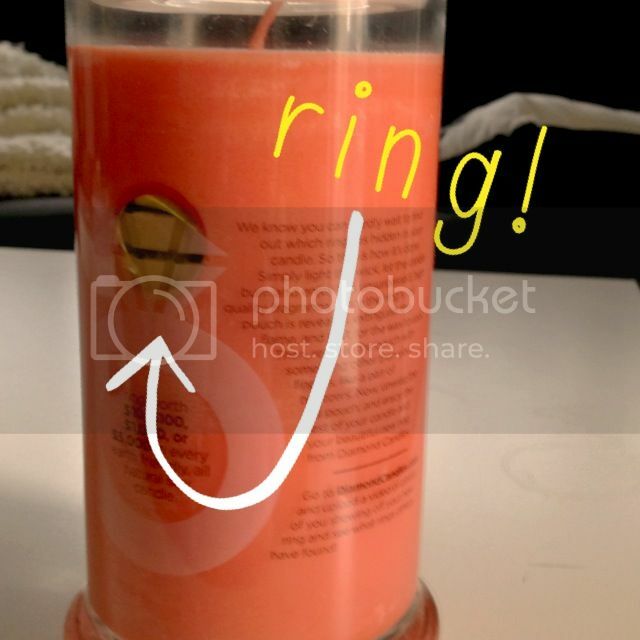 Typically, you're supposed to let your candle burn for the time it takes to get down to the gold foil-wrapped ring. I'm impatient a rebel, so I burned it for about 4–5 hours until I could almost see the foil and then dug into the soft wax to pull it out. The rings are in plastic baggies and before being wrapped in the foil, so they're fully protected from the wax. My ring's not one of the 'spensive ones (the rings are worth anywhere from $10–$5,000), but it's very pretty! It's also on the larger size—probably around a size 8?—which is good for those of us with truckasaurus hands larger fingers. 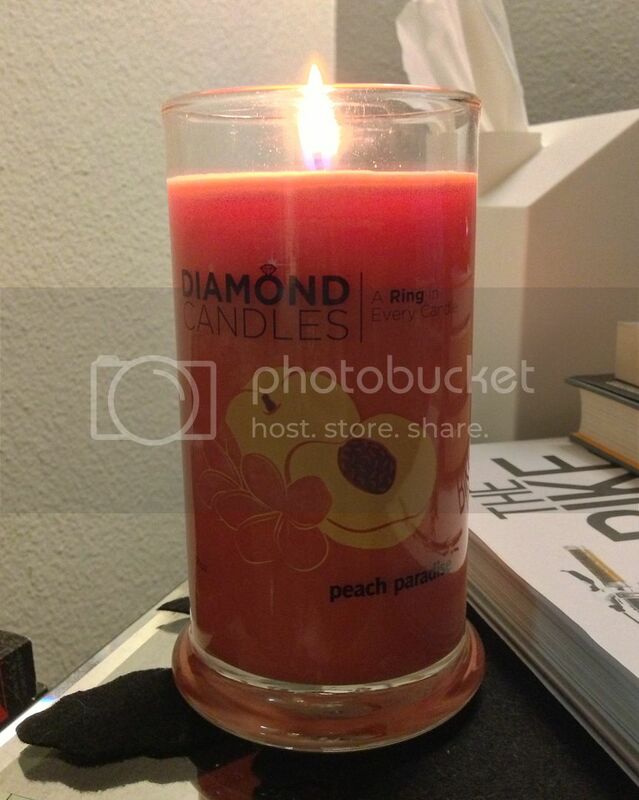 Diamond Candles has generously offered one C&CC reader their very own candle (and ring)! You can enter via the widget below; I will contact the winner as soon as possible after the contest ends. 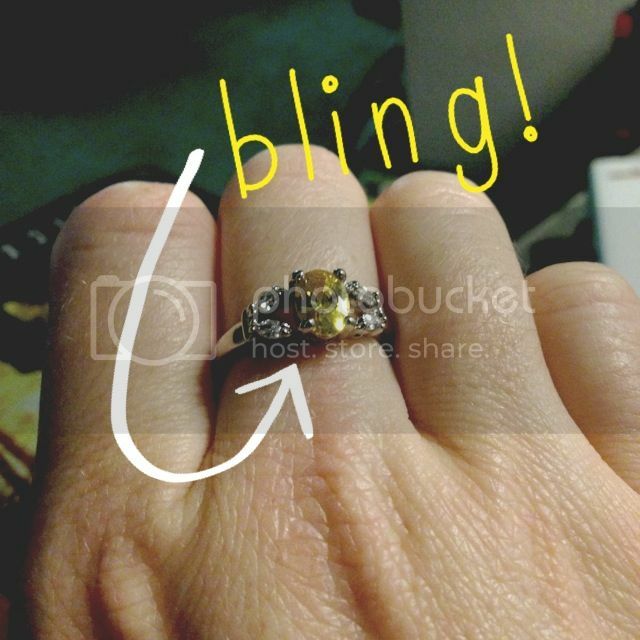 In the meantime, if you'd like to learn more about the company and/or see photos of the other rings people have received, you can check out the official Diamond Candles website or connect with the company via Facebook, Twitter, Instagram and Pinterest. P.S.—If you were to win, what scent of candle would you pick? i would totally get orange vanilla- because all things should smell like creamsicles. Never had one before. But i really want the sweet pea! I tend to love autumnal scents, so my initial choice is Pumpkin Chai, but the Summertime one sounds lovely as well! When will you post a winner? Sometimes emails go to my spam folder and get deleted so I do not want to miss it. Could you please post it here? Hi all! 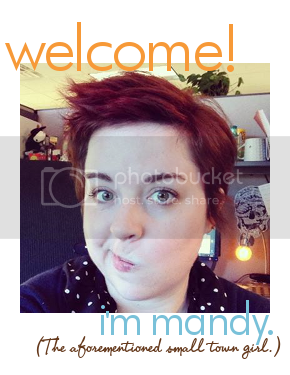 I've contact the winner—Stephanie Clapp. Congrats to her, and thank you all for entering!